This year’s Kenya Golf Trophy set for Friday 10 October at Muthaiga Golf Club has so far attracted a field of more than 130 golfers, 30 sponsors and 30 prizes. Kiambu Golf Club’s Humphrey Maina, currently playing off handicap 14, will defend his Title in the Orange Kenya Golf Trophy, Humphrey Maina, who won last year’s Kenya Golf Trophy at Royal Nairobi Golf Club, with 40 stableford points claimed his 2 Etihad Airways Tickets, which he used to fly to Kuala Lumpur in Malaysia. Maina beat Snehal Patel of Muthaiga Golf Club, also playing off handicap 14, in the count back. Snehal used his 2 Etihad tickets to fly to New Delhi. It will be interesting to see how both of them will play this year in a very strong field including the Captain of Muthaiga, Bhavnish Chandaria, who plays currently of +1 hcp, the Chairman of the Junior Golf Foundation Ashwin Gidoomal, playing of hcp 1, and father and son Tanwir and Anwar Sodi playing of handicap 5 and 6 respectively. The 4 juniors in the order of merit are invited to compete as the Kenya Golf Trophy supports the Junior Golf Foundation. In last year’s tournament all 4 juniors secured a prize. Orange is this year’s Title Sponsor, while Mercedes Benz, NAS Cuisine, Crown Paints renewed their Eagle sponsorships agreements. 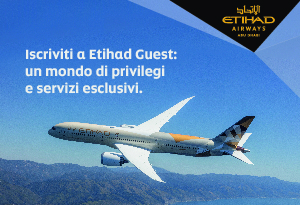 Etihad Airways donates 2 airline tickets each for the winner and runner-up to any Etihad Destination in the world for the third year running. In total there are more than 30 sponsors, more than 30 prizes worth more than Ksh 3 million, which is the highest of any Golf Tournament in Africa. Among the many prizes are 10 airline tickets and 10 prizes including 2 nights for two in 10 different hotels and lodges in Kenya and abroad. One of the main prizes is a stay at Tamarina Boutique Hotel and Golf Resort in Mauritius for one week, including 6 rounds of golf at its challenging 18 hole par 72 Rodney Wright designed championship golf course. Another exciting prize is a stay of 2 nights at Mission Hills in China, including 2 rounds of golf on any of its 12 golf courses. With is 216 holes, Mission Hills is accredited as the world’s largest golf facility by the Guinness Book of Records. The Golf architects include Jack Nicklaus, Pete Dye, Greg Norman, Nick Faldo, Annika Sorenstam, Jose Maria Olazabal, Ernie Els, Vijay Singh, Justin Rose, Ian Poulter and David Leadbetter. The entrance fee of Ksh 10.000/- per player includes a guest for the night party, which will be an event in itself and which we can best summarize as follows: Play, Win, Eat, Drink and Party!